Company Partners Blog » Can Olympics inspire new start-ups? Can Olympics inspire new start-ups? I was lucky enough to go to the dress rehearsal of the Olympic Games opening ceremony and was hugely impressed by the hard work, energy and enthusiasm of the volunteer dancers and actors. 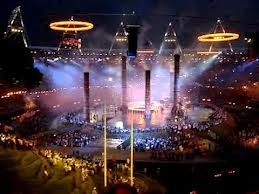 When the full version of the opening ceremony was shown on Friday the overall story became clearer. Much of the ceremony was celebrating the industry and innovation that Britain has displayed over the years. From the Industrial Revolution to Tim Berners-Lee and the world-wide web. I was left wondering how many of the passionate volunteers and cheering audience would take up the mantle of our industrious and inventive predecessors? There is no lack of enthusiasm for the use of social networking and technology, but the effort of developing the tools that make it work and starting the businesses that employ workers to drive the economy seems restricted to a few small pockets of activity. There must be a way of capturing the vigour that was displayed on Friday night. It showed that if someone is enthused then they will put their soul into making what they are doing a success. Danny Boyle and the Olympics provided that inspiration, what can we do to inspire a generation to create products, services and businesses that generates wealth and full employment once again? To a certain extent, youth is jaded by business, the banks and ever revealing scandals of top director’s greed. Yet there are thousands of small, well run and ethical companies out there, giving their founders a satisfying and decent living. We need more publicity on these owner run businesses and the fulfilling life that can be had, than the continued bleak exposure of banks and big business wrongs.